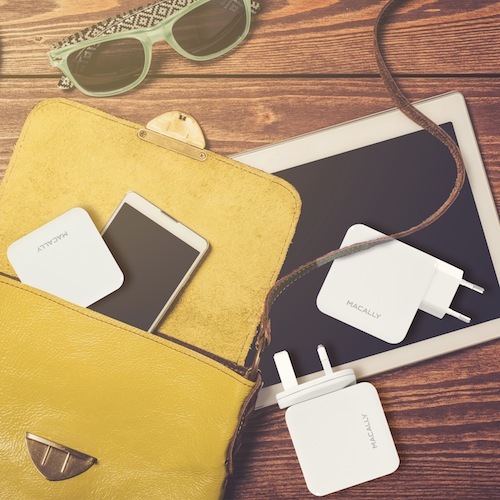 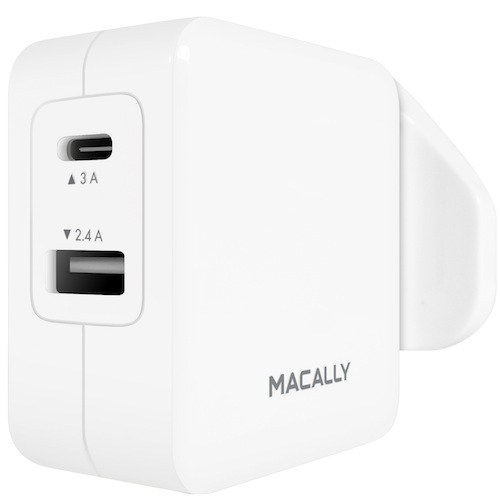 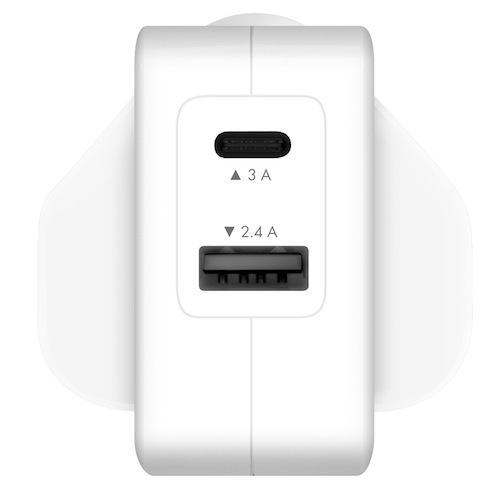 The Macally HOME24UC, 24W 2 port USB-C and USB-A wall charger, is specially designed to quickly charge your USB-C powered smartphone/tablet, as well as a regular USB-A smartphone/tablet, simultaneously, at home, at the office or, when you travel, in a hotel. 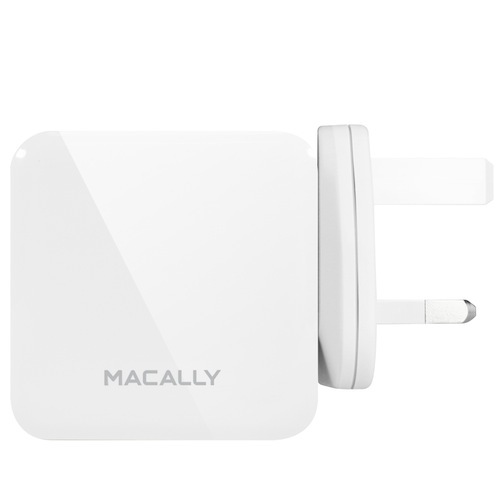 The Macally HOME24UC is compatible with a 100-240V AC input. 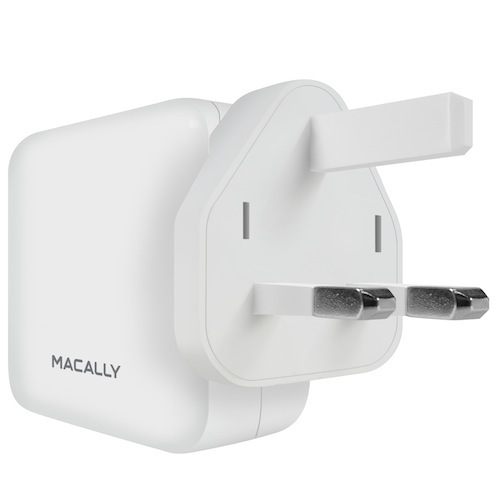 The Macally HOME24UC supports (as per May 2016) the following USB-C powered mobile devices: Google Nexus 5X and 6P, Microsoft Lumia 950 and 950 XL, LG G5, Huawei P9, HTC 10, etc. 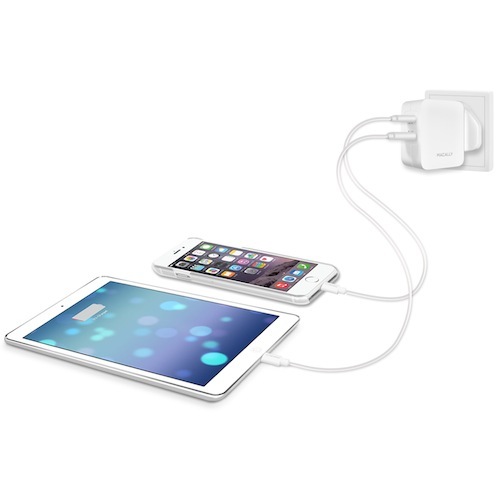 It also supports regular USB powered mobile devices, including iPhone/iPad with Lightning to USB cable (not included).